Old Crow Flats is a 6,170 km2 (2,382 sq mi) wetland complex in northern Yukon, Canada along the Old Crow River. It is north of the Arctic Circle and south of the Beaufort Sea, and is nearly surrounded by mountains. Bluefish Caves is an archaeological site in Yukon, Canada, located 54 km (34 mi) southwest of the Vuntut Gwichin community of Old Crow, from which a specimen of allegedly human-worked mammoth bone has been radiocarbon dated to 24,000 years before present (BP), earlier than the generally accepted age for habitation of the New World. 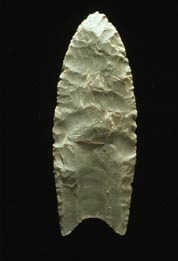 The characteristics of Canadian Aboriginal culture included permanent settlements,  agriculture,  civic and ceremonial architecture,  complex societal hierarchies and trading networks. The Métis culture of mixed blood originated in the mid-17th century when First Nation and Inuit people married Europeans. The Inuit had more limited interaction with European settlers during that early period. Various laws, treaties, and legislation have been enacted between European immigrants and First Nations across Canada. Aboriginal Right to Self-Government provides opportunity to manage historical, cultural, political, health care and economic control aspects within first people's communities. In Canada, an Indian band or band, sometimes referred to as a First Nation band or simply a First Nation, is the basic unit of government for those peoples subject to the Indian Act. Bands are typically small groups of people: the largest in the country, the Six Nations of the Grand River First Nation had 22,294 members in September 2005, and many have a membership below 100 people. Each First Nation is typically represented by a band council chaired by an elected chief, and sometimes also a hereditary chief. As of 2013, there were 614 bands in Canada. Membership in a band is controlled in one of two ways: for most bands, membership is obtained by becoming listed on the Indian Register maintained by the government. As of 2013, there were 253 First Nations which had their own membership criteria, so that not all Status Indians are members of a band. National Indigenous Peoples Day is a day recognising and celebrating the cultures and contributions of the First Nations, Inuit and Métis Indigenous peoples of Canada. The day was first celebrated as National Aboriginal Day in 1996, after it was proclaimed that year by then Governor General of Canada Roméo LeBlanc, to be celebrated annually on June 21. This date was chosen as the statutory holiday for many reasons, including its cultural significance as the Summer solstice, and the fact that it is a day on which many Indigenous peoples and communities traditionally celebrate their heritage. It was renamed from National Aboriginal Day in 2017. 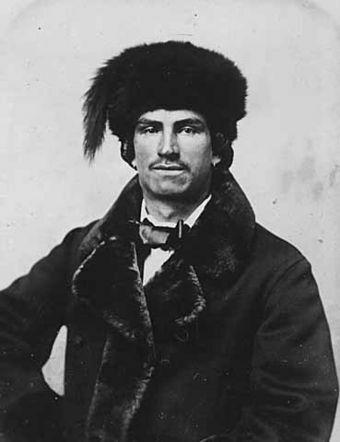 The Métis in Canada are groups of peoples in Canada who trace their descent to First Nations peoples and European settlers, primarily French in the early decades. 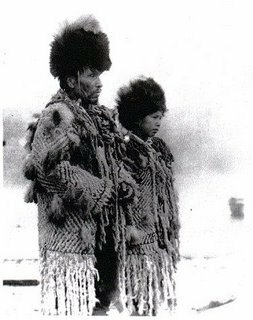 They are recognized as one of Canada's aboriginal peoples under the Constitution Act of 1982, along with First Nations and Inuit peoples. As of 2016, they number over 587,545. Canadian Métis represent the majority of people that identify as Métis, although there are a number of Métis in the United States. The Indian Act is a Canadian act of Parliament that concerns registered Indians, their bands, and the system of Indian reserves. First passed in 1876 and still in force with amendments, it is the primary document which defines how the Government of Canada interacts with the 614 First Nation bands in Canada and their members. Throughout its long history the Act has been an ongoing subject of controversy and has been interpreted in different ways by both Aboriginal Canadians and non-Aboriginal Canadians. The legislation has been amended many times, including "over twenty major changes" made by 2002. First Nations peoples had settled and established trade routes across what is now Canada by 500 BCE – 1,000 CE. Communities developed each with its own culture, customs, and character. 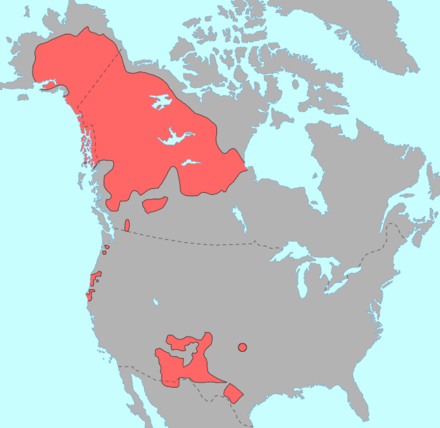 In the northwest were the Athapaskan, Slavey, Dogrib, Tutchone, and Tlingit. Along the Pacific coast were the Tsimshian; Haida; Salish; Kwakiutl; Heiltsuk; Nootka; Nisga'a; Senakw and Gitxsan. In the plains were the Blackfoot; Káínawa; Sarcee and Peigan. In the northern woodlands were the Cree and Chipewyan. Around the Great Lakes were the Anishinaabe; Algonquin; Iroquois and Huron. Along the Atlantic coast were the Beothuk, Maliseet, Innu, Abenaki and Mi'kmaq. From the late 18th century, European Canadians (and the Canadian government) encouraged assimilation of Aboriginal culture into what was referred to as "Canadian culture". These attempts reached a climax in the late 19th and early 20th centuries, with a series of initiatives that aimed at complete assimilation and subjugation of the Aboriginal peoples. These policies, which were made possible by legislation such as the Gradual Civilization Act  and the Indian Act,  focused on European ideals of Christianity, sedentary living, agriculture, and education. First Nations and Inuit organizations ranged in size from band societies of a few people to multi-nation confederacies like the Iroquois. First Nations leaders from across the country formed the Assembly of First Nations, which began as the National Indian Brotherhood in 1968. The Métis and the Inuit are represented nationally by the Métis National Council and Inuit Tapiriit Kanatami respectively. B. 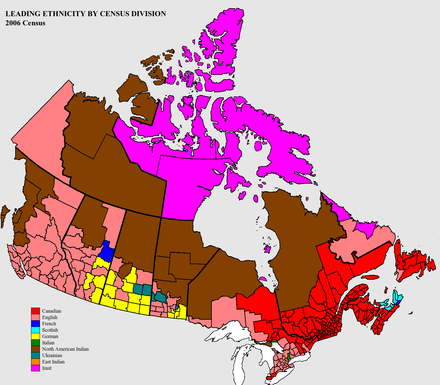 ^ According to Statistics Canada this figure "Includes those who identified themselves as Registered Indians and/or band members without identifying themselves as North American Indian, Métis or Inuit in the Aboriginal identity question." In Canada, the First Nations are the predominant indigenous peoples in Canada south of the Arctic Circle. 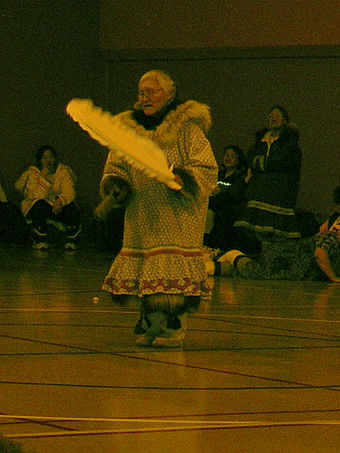 Those in the Arctic area are distinct and known as Inuit. The Métis, another distinct ethnicity, developed after European contact and relations primarily between First Nations people and Europeans. There are 634 recognized First Nations governments or bands spread across Canada, roughly half of which are in the provinces of Ontario and British Columbia. The Minister of Crown-Indigenous Relations administers the Crown-Indigenous Relations and Northern Affairs Canada (CIRNAC) which is mandated to "renew the nation-to-nation, Inuit-Crown, government-to-government relationship between Canada and First Nations, Inuit and Métis; modernize Government of Canada structures to enable Indigenous peoples to build capacity and support their vision of self-determination; and lead the Government of Canada's work in the North." Two Ministers of the Crown, CIRNAC, whose portfolio includes treaty rights and land negotiations, and the Minister of Indigenous Services, whose portfolio includes health care, water, and other services to Indigenous communities, of the Canadian Cabinet are responsible for overseeing the federal Indigenous and Northern Affairs Canada. They were established on August 28, 2017 by Prime Minister Trudeau when he announced the federal government's intention of abolishing the Indigenous and Northern Affairs Canada. The Department of Indian Affairs and Northern Development is administered by the Indian Act and other legislation dealing with "Indians and lands reserved for the Indians" under subsection 91(24) of the Constitution Act, 1867. In Canada, an Indian reserve is specified by the Indian Act as a "tract of land, the legal title to which is vested in Her Majesty, that has been set apart by Her Majesty for the use and benefit of a band." 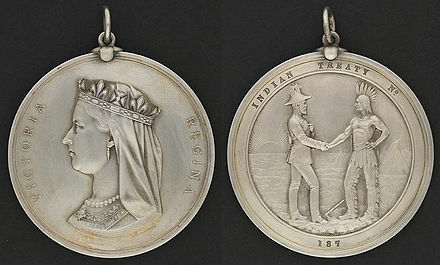 The Indian Register is the official record of Status Indians or Registered Indians in Canada. Status Indians have rights and benefits that are not granted to unregistered Indians, Inuit, or Métis, the chief benefits of which include the granting of reserves and of rights associated with them, an extended hunting season, a less restricted right to bear arms, an exemption from federal and provincial taxes, and more freedom in the management of gaming and tobacco franchises via less government interference and taxes. 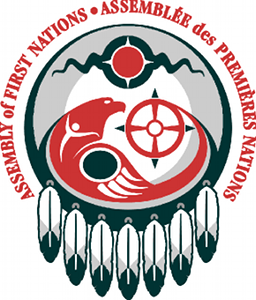 The Assembly of First Nations (AFN) is an assembly, modelled on the United Nations General Assembly, of First Nations represented by their chiefs. It emerged from and replaced the Canadian National Indian Brotherhood in the early 1980s. The aims of the organization are to protect and advance the aboriginal and treaty rights and interests of First Nations in Canada, including health, education, culture and language. 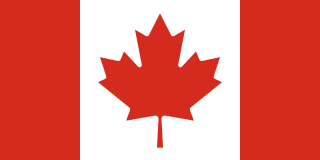 The Department of Indian Affairs and Northern Development (DIAND), referred to by its applied title under the Federal Identity Program as Indigenous and Northern Affairs Canada (INAC),, is the department of the government of Canada with responsibility for policies relating to Aboriginal peoples in Canada, that comprise the First Nations, Inuit, and Métis. First Nations in Alberta are Indigenous peoples who live in the Canadian province of Alberta. The First Nations are peoples recognized as Aboriginal peoples in Canada excluding the Inuit and the Métis. According to the 2011 Census, a population of 116,670 Albertans self-identified as First Nations. Specifically there were 96,730 First Nations people with registered Indian Status and 19,945 First Nations people without registered Indian Status. Alberta has the third largest First Nations population among the provinces and territories. From this total population, 47.3% of the population lives on an Indian reserve and the other 52.7% live in urban centres. According to the 2011 Census, the First Nations population in Edmonton totalled at 31,780, which is the second highest for any city in Canada. 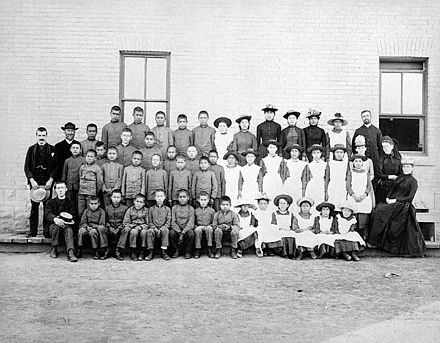 The First Nations population in Calgary, in reference to the 2011 Census, totalled at 17,040. There are 48 First Nations or "bands" in Alberta, belonging to nine different ethnic groups or "tribes" based on their ancestral languages. The Royal Commission on Aboriginal Peoples (RCAP) was a Canadian Royal Commission established in 1991 to address many issues of Aboriginal status that had come to light with recent events such as the Oka Crisis and the Meech Lake Accord. The commission culminated in a final report of 4000 pages, published in 1996. The original report "set out a 20-year agenda for implementing changes." Canadian Aboriginal law is the body of Canadian law that concerns a variety of issues related to Indigenous peoples in Canada. Thus, Canadian Aboriginal Law is different than Indigenous Law. In Canada, Indigenous Law refers to the legal traditions, customs, and practices of Indigenous peoples and groups. Canadian Aboriginal law provides certain Constitutionally recognized rights to land and traditional practices. Aboriginal is a term used in the Constitution of Canada and includes First Nations, Inuit and Métis people. Canadian Aboriginal Law enforces and interprets certain treaties between the government and Indigenous people, and manages much of their interaction. A major area of Aboriginal law involves the duty to consult and accommodate. Over the course of centuries, many Indigenous Canadians have played a critical role in shaping the history of Canada. From art and music, to law and government, to sports and war; Indigenous customs and culture have had a strong influences on defining Canadian culture. The Indspire Awards are the annual awards presented by Indspire, formerly the National Aboriginal Achievement Foundation. The awards were first established in 1993 in conjunction with the United Nations declaring the 1990s "International Decade of the World's Indigenous peoples". June 21 is Canada's National Aboriginal Day, in recognition of the cultural contributions made by Canada's indigenous population. The day was first celebrated in 1996 following Governor General of Canada Roméo LeBlanc's proclamation. Indigenous or Aboriginal self-government refers to proposals to give governments representing the Indigenous peoples in Canada greater powers of government. These proposals range from giving Aboriginal governments powers similar to that of local governments in Canada to demands that Indigenous governments be recognized as sovereign, and capable of "nation-to-nation" negotiations as legal equals to the Crown, as well as many other variations. 1 2 Todd, Thornton & Collins 2001, p. 10. 1 2 3 4 Olson & Pappas 1994, p. 213. ↑ Darnell, Regna (2001). Invisible genealogies: a history of Americanist anthropology. Lincoln: University of Nebraska Press. p. 338. ISBN 978-0-8032-1710-2 . Retrieved October 3, 2010. ↑ Cameron, Rondo E (1993). A concise economic history of the world: from Paleolithic times to the present. Oxford University Press. p. 92. ISBN 978-0-19-507445-1 . Retrieved October 3, 2010. ↑ Macklem, Patrick (2001). Indigenous difference and the Constitution of Canada. University of Toronto Press. p. 170. ISBN 978-0-8020-4195-1 . Retrieved October 3, 2010. ↑ Edwards, John (2009). Language and Identity (Digitized online by Google books). Cambridge University Press. ISBN 978-0-521-69602-9 . Retrieved October 5, 2009. ↑ Hirschfelder, Arlene B; Beamer, Yvonne (2002). Native Americans today: resources and activities for educators, grades 4–8. Teacher Ideas Press, 2000. p. 3. ISBN 978-1-56308-694-6 . Retrieved January 11, 2015. ↑ Goebel T, Waters MR, O'Rourke DH (2008). "The Late Pleistocene Dispersal of Modern Humans in the Americas" (PDF). Science. 319 (5869): 1497–502. Bibcode:2008Sci...319.1497G. doi:10.1126/science.1153569. PMID 18339930. ↑ Wade, Nicholas (March 13, 2014). "Pause Is Seen in a Continent's Peopling". The New York Times. ↑ Wells, Spencer; Read, Mark (2002). The Journey of Man – A Genetic Odyssey. Random House. pp. 138–140. ISBN 978-0-8129-7146-0. ↑ Sigurðardóttir, Sigrún; Helgason, Agnar; Gulcher, Jeffrey R.; Stefansson, Kári; Donnelly, Peter (May 2000). "The Mutation Rate in the Human mtDNA Control Region". American Journal of Human Genetics. 66 (5): 1599–1609. doi:10.1086/302902. PMC 1378010 . PMID 10756141. ↑ Tamm, Erika; Kivisild, Toomas; Reidla, Maere; et al. (September 5, 2007). "Beringian Standstill and Spread of Native American Founders". PLoS ONE . 2 (9): e829. Bibcode:2007PLoSO...2..829T. doi:10.1371/journal.pone.0000829. PMC 1952074 . PMID 17786201. ↑ Gibbard, P.; van Kolfschoten, T. (2004). "Chapter 22: The Pleistocene and Holocene Epochs" (PDF). A Geologic Time Scale. Gowin Institute for Quaternary Research. Cambridge University Press, UK: Quaternary Palaeoenvironments Group, Department of Geography, University of Cambridge. ISBN 978-0-521-78142-8. ↑ Lepper, Bradley T. (1999). "Pleistocene Peoples of Midcontinental North America". In Bonnichsen, Robson; Turnmire, Karen. 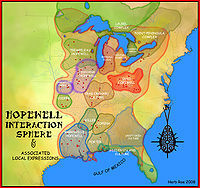 Ice Age People of North America. Corvallis: Oregon State University Press. pp. 362–394. ISBN 978-0-87071-458-0. ↑ Firestone, R. B.; West, A.; Kennett, J.P.; et al. (2007). Evidence for an extraterrestrial impact 12,900 years ago that contributed to the megafaunal extinctions and the Younger Dryas cooling. Proceedings of the National Academy of Sciences . 104. pp. 16016–16021. Bibcode:2007PNAS..10416016F. doi:10.1073/pnas.0706977104. ISBN 978-0-87071-458-0. PMC 1994902 . PMID 17901202. ↑ Jameson 1997, p. 159. ↑ Taylor 2002, p. 10. 1 2 3 Imbrie, J; K.P.Imbrie (1979). Ice Ages: Solving the Mystery. Short Hills NJ: Enslow Publishers. p. 135. ISBN 978-0-226-66811-6 . Retrieved October 18, 2009. ↑ United States. Foreign Agricultural Service (1962). Foreign agriculture. 24. United States: Bureau of Agricultural Economics. p. 167. ISBN 978-0-16-038463-9. 1 2 3 Fagan, Brian M (1992). People of the Earth: An Introduction to World Prehistory. University of California. Harper Collins. ISBN 978-0-321-01457-3. ↑ Friesen, John (1997). Rediscovering the First Nations of Canada. Calgary, AB: Detselig Enterprises Ltd. ISBN 978-1-55059-143-9. 1 2 Carlson, Keith Thor, ed. (1997). You Are Asked to Witness: The Stó:lō in Canada's Pacific Coast History. Chilliwack, BC: Stó:lō Heritage Trust. ISBN 978-0-9681577-0-1. ↑ Leer, Jeff; Doug Hitch; John Ritter (2001). Interior Tlingit noun dictionary: The dialects spoken by Tlingit elders of Carcross and Teslin, Yukon, and Atlin, British Columbia. Whitehorse, Yukon Territory: Yukon Native Language Centre. ISBN 978-1-55242-227-4. 1 2 3 4 5 6 Ray 1996. ↑ Tuck, J. A. (1976). "Ancient peoples of Port au Choix". 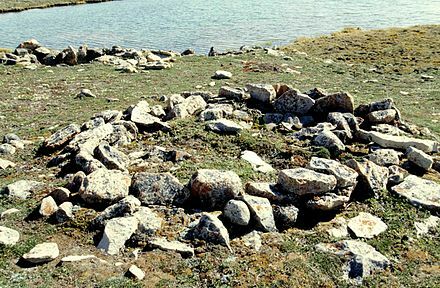 The excavation of an Archaic Indian Cemetery in Newfoundland. Newfoundland Social and Economic Studies 17. St. John's: Institute of Social and Economic Research. ISBN 978-0-919666-12-2. 1 2 3 Fagan, Brian M. (2005). Ancient North America: The Archaeology of a Continent (4 ed.). New York: Thames & Hudson Inc. pp. 390, p396. ISBN 978-0-500-28148-2. 1 2 Winchell 1881, pp. 601–602. ↑ Joe, Rita; Lesley Choyce (2005). The Native Canadian Anthology. Nimbus Publishing (CN). ISBN 978-1-895900-04-0. ↑ Peter Turchin; Leonid Grinin; Andrey Korotayev; Victor C. de Munck.Turchin (2006). Moscow: KomKniga/URSS, 2006., ed. History and mathematics: Historical Dynamics and Development of Complex Societies (URSS.ru-Books on Science-On-line Bookstore.). ISBN 978-5-484-01002-8 . Retrieved October 18, 2009. ↑ Willey, Gordon R; Philip Phillips (1957). Method and Theory in American Archaeology. University of Chicago Press. pp. 1(introduction). ISBN 978-0-226-89888-9 . Retrieved October 18, 2009. ↑ A Narrow Vision: Duncan Campbell Scott and the Administration of Indian. By E. Brian Titley. Vancouver: University Of British Columbia Press. 1992. ISBN 978-0-7748-0420-2. ↑ "The History of Metropolitan Vancouver's Hall of Fame Joe Capilano" . Retrieved October 5, 2009. ↑ Hans Christian Gulløv (2005). Grønlands Forhistorie. p. 17. ISBN 978-87-02-01724-3. ↑ Fitzhugh, William W. (2000). Fitzhugh, William W.; Elisabeth I. Ward, eds. Vikings: The North Atlantic Saga. Washington, D.C.: Smithsonian Institution. pp. 193–205. ISBN 978-1-56098-995-0. ↑ Rinella, Steven (2008). American Buffalo: In Search of A Lost Icon. NY: Spiegel and Grau. p. 166. ISBN 978-0-385-52168-0 . Retrieved October 18, 2009. ↑ Howard, James H (1965). 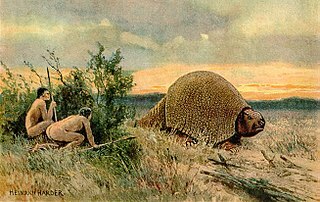 The Plains-Ojibwa or Bungi: hunters and warriors of the Northern Prairies with special reference to the Turtle Mountain band (Museum Anthropology Papers 1 ed.). University of South Dakota. ISBN 978-0-16-050400-6. ↑ Stanley, George F.G. (April 22, 2013). "Louis Riel". The Canadian Encyclopedia . revised by Adam Gaudry. Historica Canada. ↑ The Problem of Michif. Peter Bakker-Metis Resource Centre. 1997. ISBN 978-0-19-509711-5. Archived from the original on July 6, 2011. Retrieved October 5, 2009. ↑ Barkwell, Lawrence J.; Leah Dorion; Audreen Hourie (2006). Metis legacy Michif culture, heritage, and folkways. Metis legacy series, v. 2. Saskatoon, SK: Gabriel Dumont Institute. ISBN 978-0-920915-80-6. ↑ Barkwell, Lawrence J.; Leah Dorion; Darren Prefontaine (2001). Metis Legacy: A Historiography and Annotated Bibliography. Winnipeg, MB: Pemmican Publications Inc. and Saskatoon: Gabriel Dumont Institute. ISBN 978-1-894717-03-8. ↑ Branch, Government of Canada; Indigenous Northern Affairs Canada; Communications (February 8, 2006). "Report-Royal Commission on Aboriginal Peoples-Indian and Northern Affairs Canada". Volume 1, Part 1, Chapter 6 of the Report of the Royal Commission on Aboriginal Peoples. Archived from the original on November 15, 2007. Retrieved October 3, 2009. ↑ "What is Treaty 8?". Canadian Broadcasting Corporation . Archived from the original on August 7, 2004. Retrieved October 5, 2009. ↑ Jacklin, Kristen; Wayne Warry (2004). "14 Then Indian Health Transfer Policy in Canada: Toward Self-Determination or Cost Containment?" (digitized online by Google books). In Arachu Castro; Merrill Singer. Unhealthy health policy: a critical anthropological examination. Oxford United Kingdom: Rowman Altamira. p. 215. ISBN 978-0-7591-0510-2 . Retrieved October 6, 2009. 1 2 3 Price, Richard (1999). The Spirit of the Alberta Indian Treaties. University of Alberta Press > the University of Michigan. ISBN 978-0-88864-327-8. ↑ James F. Pendergast, Bruce G. Trigger (1978). Saint-Lawrence Iroquoians. Handbook of North American Indians. Volume 15. Smithsonian Institution. pp. 357–361. ISBN 978-0-16-004575-2. 1 2 3 Goddard, Ives, ed. (1996). Languages. Handbook of North American Indians. 17. W. C. Sturtevant. Washington, D. C.: Smithsonian Institution. ISBN 978-0-16-048774-3. ↑ Searles, Edmund (2002). "Food and the Making of Modern Inuit Identities. Volume 10, Number January 1, 1 2002". Food & Foodways: History & Culture of Human Nourishment. pp. 55–78. ISBN 978-0-8061-2126-0. 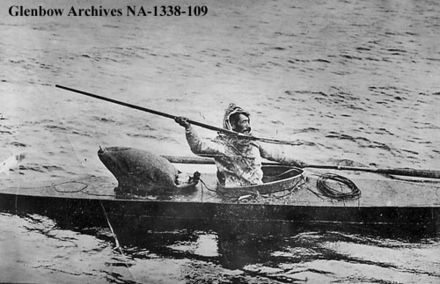 Although the Inuit of the Canadian Arctic have access to an ever-expanding market of different kinds of foods, they continue to invest considerable time and money obtaining Inuit foods, that is, foods hunted, fished, and gathered within the Inuit homeland. 1 2 Gordon, Raymond G. Jr. (2005). Ethnologue: Languages of the world (15 ed.). Dallas, Texas: SIL International. ISBN 978-1-55671-159-6. Archived from the original (Web Version online by SIL International, formerly known as the Summer Institute of Linguistics) on October 12, 2009. Retrieved October 6, 2009. 1 2 3 Hessel, Ingo; Hessel, Dieter (1998). Inuit Art[An introduction. foreword by George Swinton]. London, UK: British Museum Press. ISBN 978-0-7141-2545-9. 1 2 Patterson, Nancy-Lou (1973). Canadian native art; arts and crafts of Canadian Indians and Eskimos. Don Mills, ON: Collier-Macmillan. ISBN 978-0-02-975610-2. 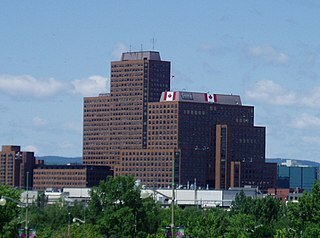 1 2 Branch, Government of Canada; Indigenous and Northern Affairs Canada; Communications (2008-11-21). "Urban Indigenous peoples". www.aadnc-aandc.gc.ca. Retrieved 2017-10-31. 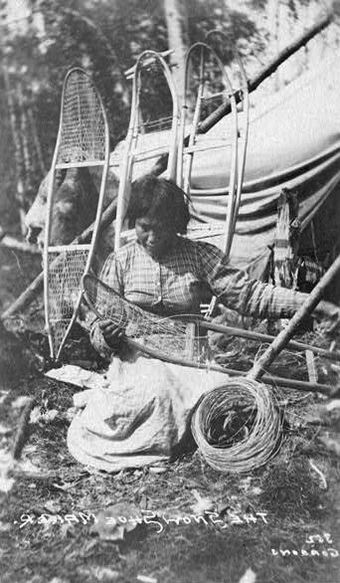 Wikimedia Commons has media related to Indigenous peoples in Canada .